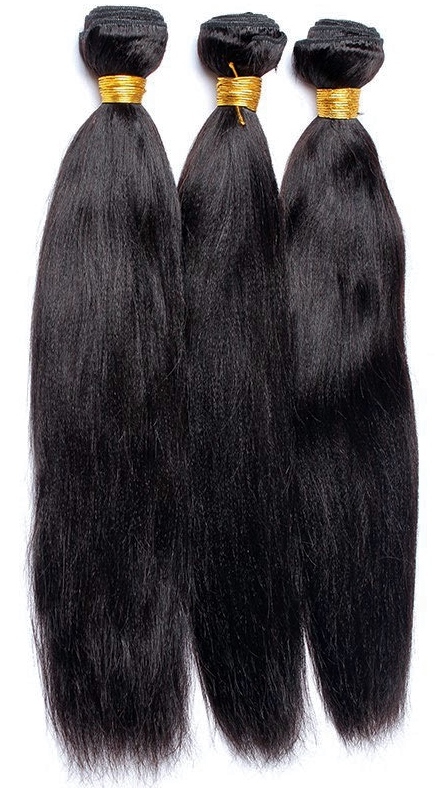 Yaki hair weaves resemble type 4 hair that has been chemically or heat straightened. It's a soft texture with movement and fluidity. Close up you'll notice very tiny kinks in the hair strands which is why it's doesn't appear as glossy as the silky straight texture. The texture is great for those with naturally very curly growth hair ranging from 3c to 4c (densely packed corkscrew curls through to Afro curls of any size) so if your hair texture is within that range and you're looking for your perfect weave hair match, then you've found it with Yaki straight. Whilst some like to use the word "coarse", a better way of describing it might be less smooth which means it has a matte finish and not a glossy or shiny one like the silky straight weave hair texture. As you'll be the one who has to wear it, what's most important when choosing your weave hair texture is to make sure that you like the look of it. 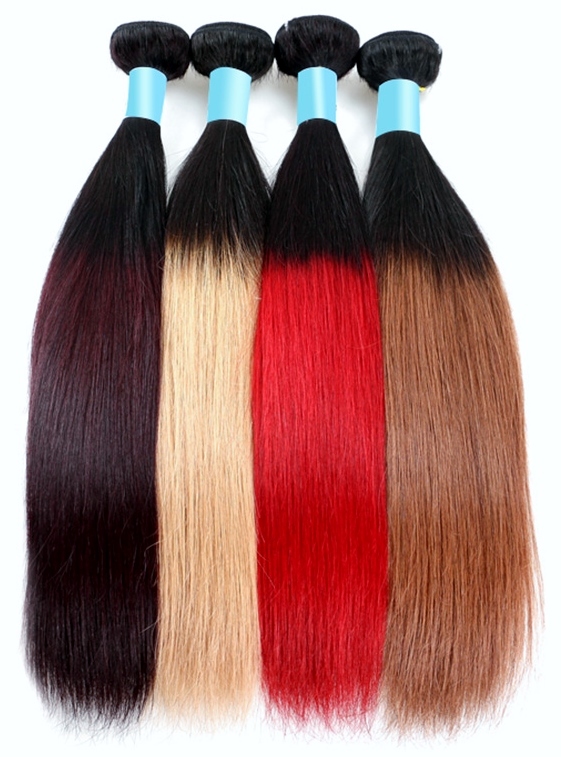 Much like weave hair in general, the lengths start at eight inches and go to 28 inches and sometimes beyond, but you'll have to have a good set of searching skills to find the longer lengths, as although they exist, it can be hard to find retailers that stock them. Also remember that if you intend to have your weave hair styled and cut in a way that involves taking length off the bottom, it’s worth bearing this in mind when you choose the length of weave hair. If you're a weave hair veteran, you'll know that weave hair is available as remy weave hair and non-remy weave hair... and now a no-tangle non-Remy. Silky straight weave hair can come in sets (bundles) of multiple lengths (you can see the value of multiple length sets in the how to make a wig from weave hair guide). Bundles are available as sets of two, three or four different lengths. You can find colours in every shade up to blonde with Yaki weave hair - jet black to platinum blonde, ombre colour schemes, highlights, pastels, triple colours, P-colours, T-colours, two tones and many more besides. If you’re unsure which colours would complement your complexion, there's a hair colour and skin tone guide. If you haven’t already perused the Peruke’s Caring For Weave Hair Guide and cast your eyes over these top five tips to get you started. 1. Wash your Yaki weave hair at least every couple of weeks using a shampoo for coloured hair to protect and prolong the dyed colour. 2. It's always a good idea to either use a leave-in conditioner or deep condition on your weave hair as this will help to repair and strengthen the hair. 3. Keep Yaki weave hair moisturized, with a water-based moisturizer that doesn't contain mineral oil (as doesn't penetrate human hair, it coats it and can trap dirt and dust). 4. Tame fly-away hair by using hair oils to smooth and nourish the weave hair to calm frizz or seal moisture in dry ends (for best results apply to damp hair). 5. Avoid any hairstyling products coming into contact with the tracks of glue-in weave hair as these can cause the glue to soften and the weave hair to come loose. Well pasta and bagels...! That seems to be it on the run through for Yaki straight weave hair.